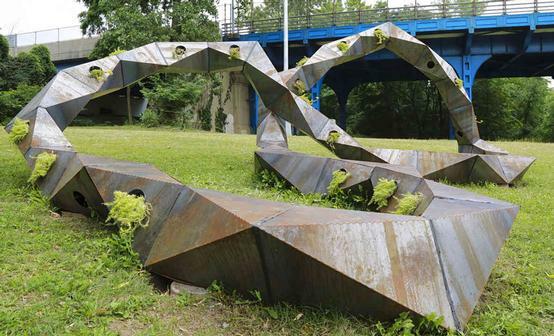 THE BRONX - A new public art display has been placed in Starlight Park. Fifteen artists helped to create the installment called River Rising, or Sube El Rio. The sculptures were inspired by the 1918 World’s Fair, which took place on the same grounds. The structures will be open for free viewing and are accessible via the park’s East 177th and Devoe Avenue entrance for one year.